Railroads have been around for generations, making their mark with speed and efficiency. In recent years, railways have seen a decline, but they are making a strong comeback in the shipping industry. The freight network in the United States is one of the largest in the world. It’s a billion dollar per year industry with over 140,000 miles of railways—which, if you think about it, is a lot of ground to cover. Railways can improve the efficiency of your company, boost revenue, and even conserve funds. So what’s so important about rail-siding warehouses? Well, let’s talk logistics. The great thing about rail-siding warehouses is that most of them are centrally located, which can increase business and bolster revenue—two key things that all business owners want to hear. Physical location is important because you want to ensure that your company is able to serve the geographical regions of your customer. Furthermore, it’s vital for prompt deliveries. 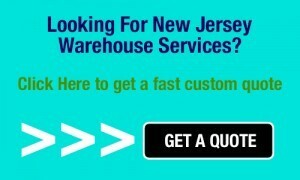 The location of the warehouse is crucial because direct routes are always easier than traveling out of your way only to come around in a circle. When transportation can be brought directly to the warehouse, it cuts out excessive and additional costs usually acquired through the utilization of trucks to transport goods. 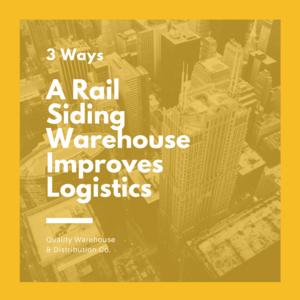 When a warehouse possesses rail siding, it makes accessibility and proximity to the warehouse that much easier, removing the need for any additional transportation. We all like instant gratification, and having things shipped to our homes is no different. We want our items as soon as humanly possible, and we hate to wait. Rail siding won’t get goods to your customers within moments, but it will significantly reduce the regular shipping estimates. Rail siding is fast and efficient. So much so, that one train can hold about three or four times the amount of a standard truck. And not only do they have a greater capacity for volume, but they also move faster than trucks. Most importantly, they will rarely, if ever, be delayed by weather or traffic. Now try saying that about truck delivery process. Rail siding is also a great option for companies that need to move a lot of goods at one time over a long distance. With railways, there is a potential for limited stops, meaning your products could reach their destination in a much shorter amount of time. This is especially agreeable for companies that are shipping raw goods or foods that have a small timeframe in which they need to be sold and utilized. Gas prices seem to be always on the rise. But with rail siding, you eliminate the ever-changing cost of gas because freight doesn’t require that means of power. Furthermore, railways are extremely economical in that they cost more initially, but the fuel needed to run the rails allows for further distances to be covered. The plus side of the railway is that most anything can be shipped by rail. While trucks can be a good solution for goods traveling short distances, the further a product needs to travel, the better a solution railway can become. Rail transportation requires a very small space of consumption necessary to transport goods. The preliminary costs of building railways are higher due to the construction of rail tracks and the provision of rolling stock, which can be expensive. These expenses are usually made before any revenue has been brought in, and thus represents important entry barriers that can limit the number of operators. But rail rolling stock has a service life of at least 20 years, which is a much longer shelf life than a motor vehicle. This can also be an advantage since the rolling stock is more durable. Operation costs may seem high, but the benefits can truly outweigh the initial cost.